At Last a true 400 bhp Stage 2 Intercooler for the ST225 Focus. 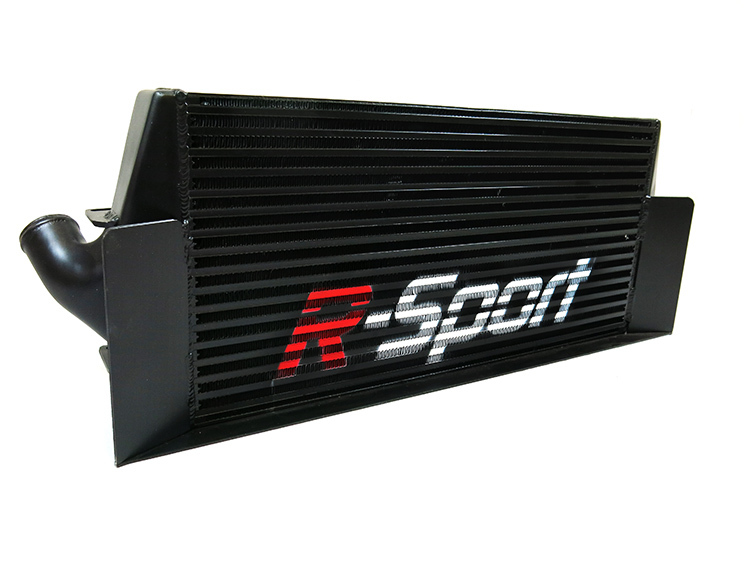 The R-Sport Intercooler Brand is now well established and has proven itself a very capable unit around the world. Used Both on Road and Track with a 100% reliability record the Intercoolers have worked beautifully together with the MAXD-OUT Mapping to deliver reliable and class Leading Power. Why does my ST need a Stage 2 Intercooler? The power demands from the Focus ST225 owner are ever increasing, the Stage 1 can only cope with track use power limits of 330 Bhp so Pumaspeed went back to the drawing board and designed from scratch the R-Sport Stage 2 Intercooler. to Future proof your requirements. Why is this Stage 2 Intercooler better than any other Stage 2 Intercooler? All intercoolers are not made equal,the new Stage 2-400 cooler from R-sport is 43% bigger than any other Stage 2 cooler, dont mistake this unit for a stage 1 with scoops welded on. This 76mm cored version is designed from scratch to Flow and to Cool well in excess of 400bhp and push the competition behind. We wanted the Focus ST225 owner to enjoy the very best possible performance without having the swap into the larger silicon RS hoses so we asked for the following. The Pumaspeed Workshop team are ready to fit the R-Sport ST225 Stage 2 -400bhp Intercooler in our Head Office located here. Therefore making parts and labour a total cost £392.35 (inc. VAT). Pumaspeed have a specialist distribution team that can dispatch the R-Sport ST225 Stage 2 -400bhp Intercooler to any destination worldwide.